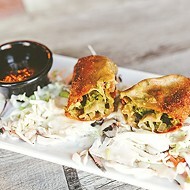 Protein is the centerpiece of most big meals. At Thanksgiving, its a turkey. Christmas often includes a ham. 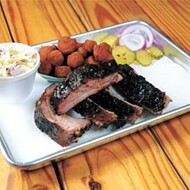 Some folks dont consider breakfast, lunch or dinner a meal unless theres meat on the table. 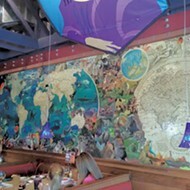 How nice, then, that carnivores craving something meaty find themselves in Oklahoma City, where steaks, chops, burgers, wings, sausages and so much more are available morning, noon and night. Meat case at at The Meat House in Edmond, Monday, Aug. 29, 2016. In stark contrast to the work of The Brothers Grimm, The Butchers Grimm told stories with only one moral: Eat meat. In their stories, Ham-sel and Gretel found The Meat House. There was no witch inside. Instead, there was a glorious selection of fine steaks, pre-marinated cutlets, cheese, sausage and more. 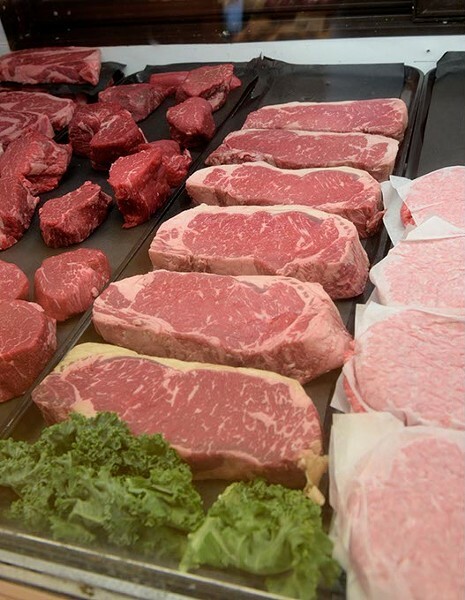 That tradition carries on today in Edmond, where discerning carnivores will find ready-to-grill favorites, marinades, rubs and more for a perfect protein party. Beef jerky at the Beef Jerky Emporium, Monday, Aug. 29, 2016. 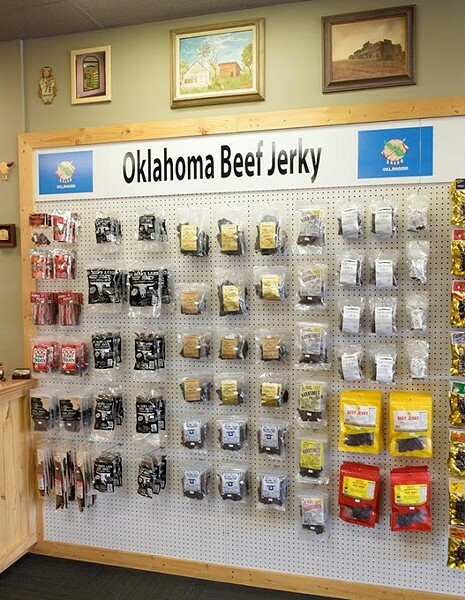 Oklahoma City is so blessed to have The Beef Jerky Emporium. Not only does this gem carry different varieties of jerky  beef, venison, wild boar, turkey, salmon and many more  but the staff is a knowledgeable resource for dried meat newcomers to find just what theyre looking for. The Emporium also carries bacon candy in case the jerky isnt enough. 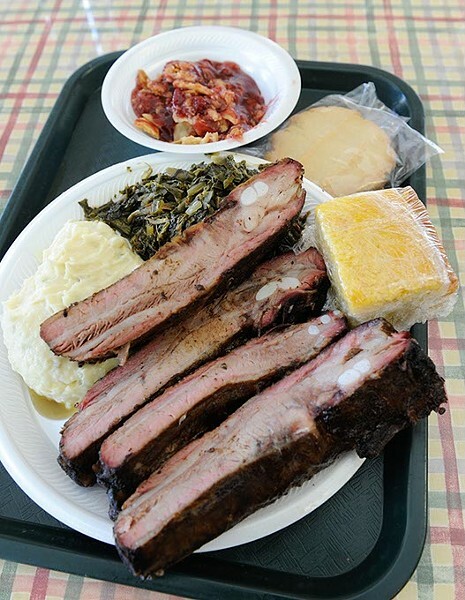 Pork Rib Dinner at George's Happy Hog BBQ in Oklahoma City, Thursday, May 28, 2015. Breasts get all the glory when it comes to chicken, but migrate a little farther south and find the real MVP: dark meat. Georges Happy Hog Bar-B-Q slow-smokes ribs, brisket and hot links, and those in the know will find tender, delectable chicken full of juicy, grilled flavor in the Dark Meat Delight. Whether taking home three legs and thighs to eat off the bone or grabbing a smoky, deeply seasoned rack of ribs, Georges has everything needed for a ridiculously satisfying meal with friends. The "Big Country" at Hideaway Pizza in Oklahoma City, Wednesday, Nov. 19, 2014. 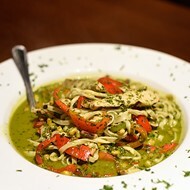 Servers at Hideaway Pizza should have to read this to diners who order The Capone: Attention, hungry patrons. This pizza isnt messing around. 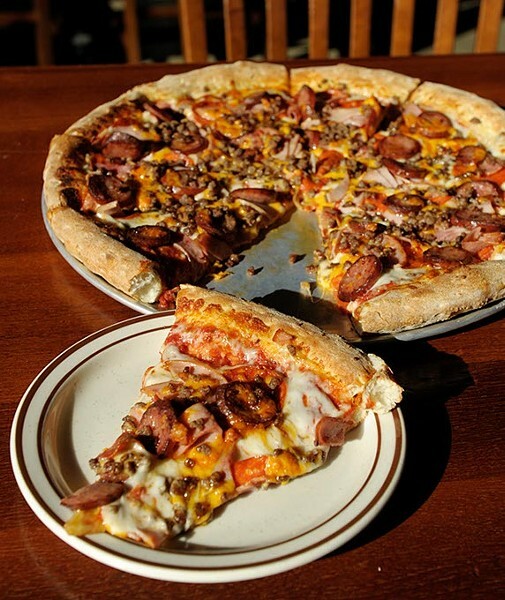 When you order The Capone, you are taking on the responsibility of eating a pie so famously delicious, we named it after the best-known gangster in history. Stacked high with Italian sausage, pepperoni, bacon, salami, garlic, olives and red onions, The Capone is meant to be shared and cherished. Salumi y formaggi and peach bellini at Bellini's Underground, Wednesday, Aug. 31, 2016. The name couldnt be simpler or more enticing: Salumi y formaggi  meat and cheese. Before digging into an irresistible plate of fettucine carbonara or a mix of shrimp and gnocchi, indulge in a plate of cured meats, fine cheeses and crispy, garlicky crostini. 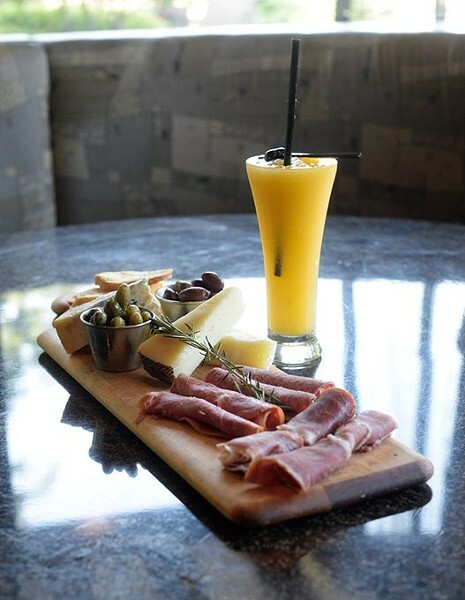 Bellinis Underground serves a salumi y formaggi that is a perfect way to start a meal or just as a snack to nibble on while enjoying a glass of wine. Geisha special at Musashi's, Wednesday, Aug. 31, 2016. The phrase chop-chop takes on new meaning after dining at Musashis, home of some of Oklahoma Citys best teppanyaki chefs. 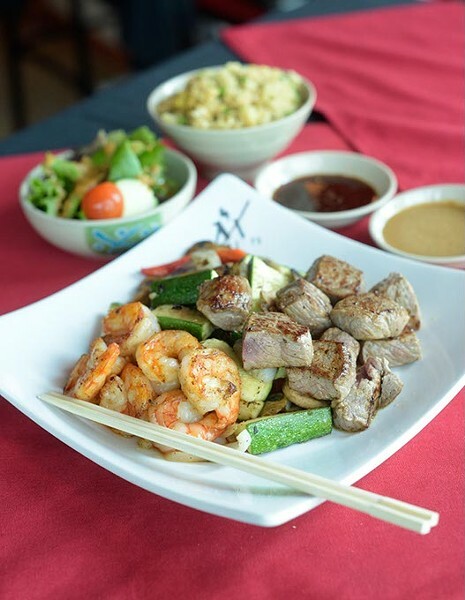 Sometimes confused with a hibachi, the teppanyaki is that long, flat brazier and grill on which talented chef-performers prepare plates of sizzling shrimp, succulent chicken and melt-in-the-mouth steaks with panache. Theres nothing quite like watching an expert on the griddle make a great meal into an indelible experience. When the engine is running rough and the fuel tank is nearing empty, the best spot to fill up is The Garage. 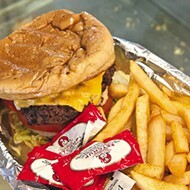 This haven for bodacious burgers doesnt shy away from topping patties with mountains of fixings that are bursting with flavor. 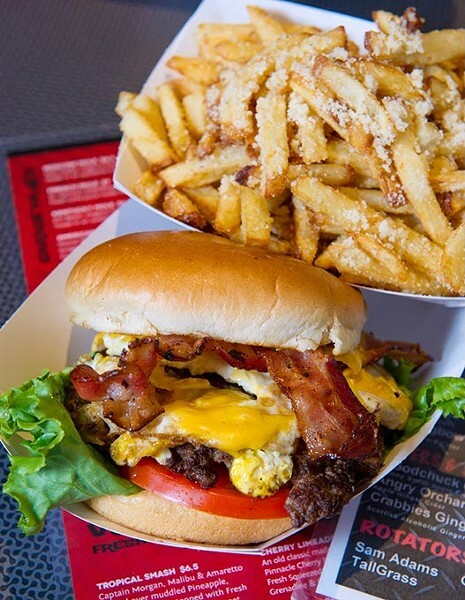 If a bun filled with perfectly grilled ground beef doesnt sound like enough, then try the Egg-o-nator with bacon, egg and American cheese.